App for Zundapp. Download the Zund-App here. The year 2017 would have stood for 100 years of Zündapp GmbH. In today’s digital world there was no Zündapp app available for mobile devices. I thought that was just intolerable so I had to get cracking! It has not become a comprehensive app but its content covers the history of Zündapp, the different products and models, some stories and many more items about this brilliant German moped and motorcycle brand which went bankrupt in 1984. There are no commercial strings attached: I developed the app myself with the expert guidance of Arrow Webprojects. I live in the eastern part of The Netherlands where there are beautiful roads to ride your Zündapp. 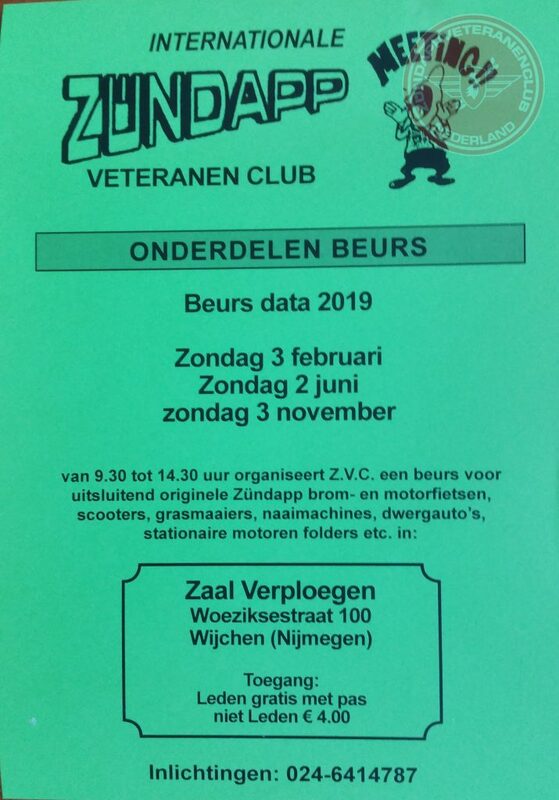 And that’s what we do, together with members of Zündappclub Achterhoek and Bfc Nostalgie. These members are young and old moped enthusiasts with more than sufficient technical skills to keep their machines rolling. Anyway, have lots of fun with the app ánd with your Zündapp moped, motorcycle or whatever.